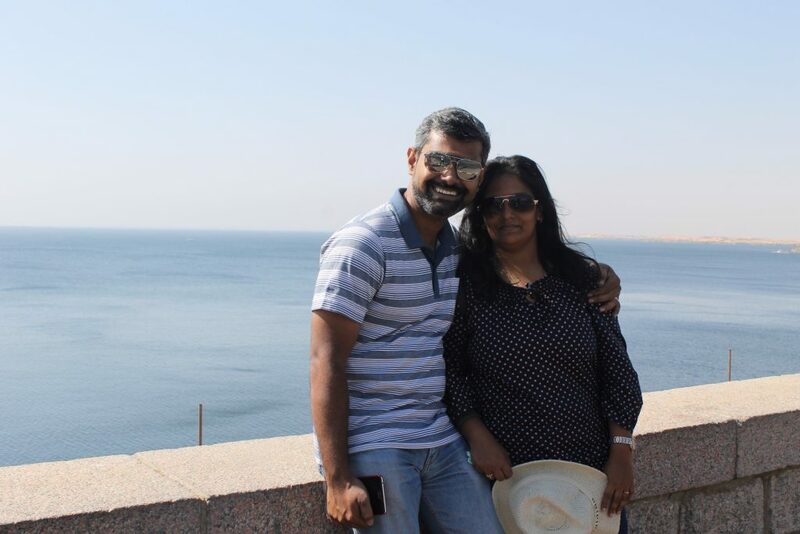 Join our traveller Prasanna as he unveils the secrets of Egypt while on a week long date with the mummies. 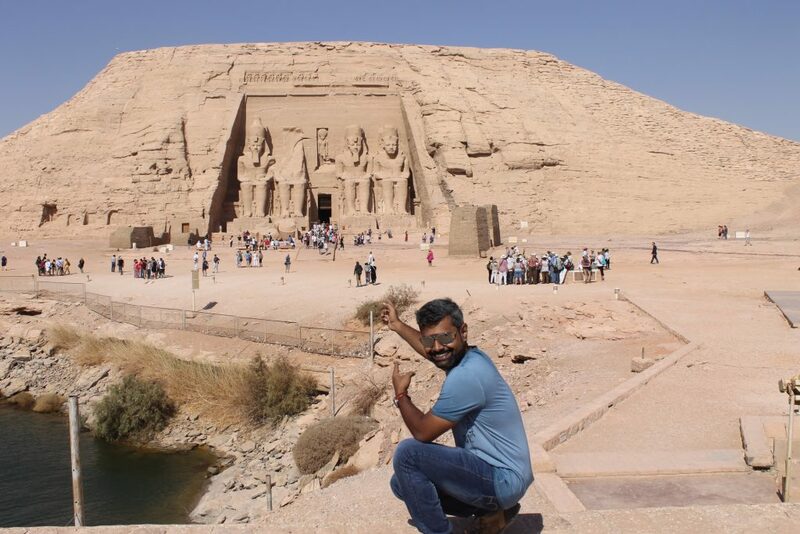 From Cairo’s museums and markets to Aswan’s Temple of Isis and hot air ballooning at Luxor, Prasanna has been there and done that in Egypt. Keep your notepads ready, for he has plenty of tips to share! “Why Egypt?”, is the question almost everybody asked me when I mentioned that I will be travelling to Egypt for a vacation. Then I had to ask myself why did I choose this place, was Hawaii crowded? Was Thailand too done-to-death? The answer is that Egypt was probably my first love, when it came to places. 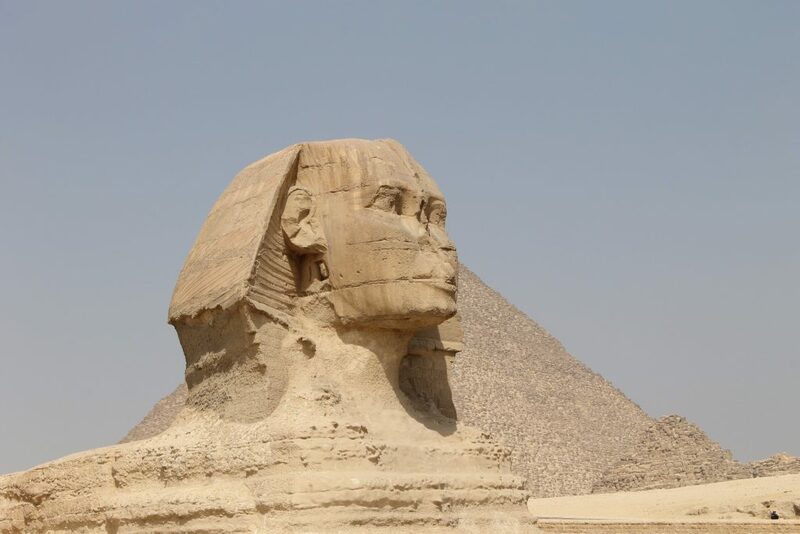 Right from my childhood, I have always been fascinated by the Pyramids and the historic treasures of Egypt. Growing up watching ‘The Mummy’ and a lot of other movies that referenced Egypt (The last being, Exodus: Gods & Kings), I finally decided one day that I will head to Egypt and explore it for myself. 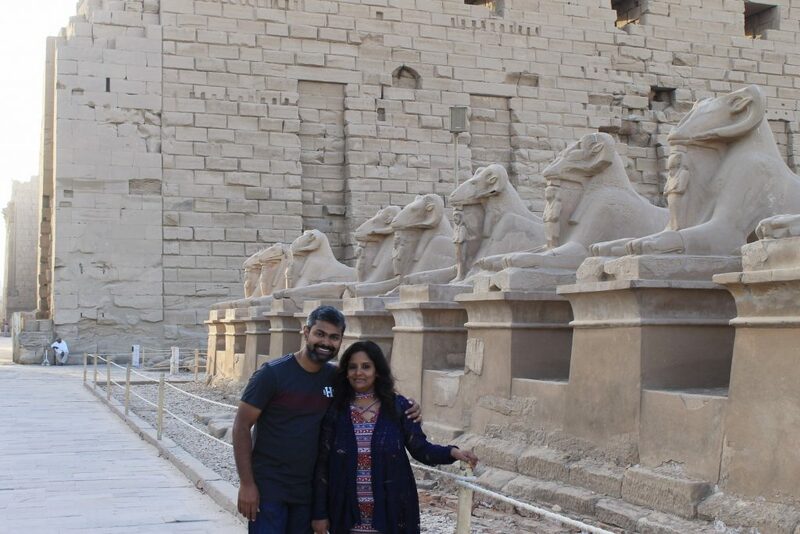 After travelling to regular tourist destinations like Australia, London, Langkawi, & Dubai, I just felt it’s high time I travelled to a place which is completely off beat and something that’s there on my bucket list – Egypt. It’s not a great kid-friendly destination, but if the kids are history lovers then there is no place on Earth that could match Egypt. If I remember correctly, one-third of the world’s heritage is in Luxor and Aswan! Half of Alexandra is either underwater or underground (Roman Amphitheatre is a great example of that). You just have to go and experience it. We started our vacation with a 2-day stay at Cairo. Our day began with a visit to the Great Pyramid of Giza, the oldest of the Seven Wonders of the Ancient World. Standing over 146 meters, it is something out of the world. You could also go inside the pyramid to see the mummification room (It’s gonna cost you extra 100 Egyptian Pounds, per person). Don’t expect to see any mummies, you will be able to see only the Sarcophagus. Listen carefully to your guide as the amazing history of this place unfolds and you definitely don’t want to miss that. From there we went to the Saqqara necropolis to see the Pyramid of Djoser, also known as the Step Pyramid. This is where you can still spot a lot of archaeological activities along with plenty of carvings & artefacts. The last stop for the day was Papyrus Painting & Perfume store. The cost of the paintings inside the store will be on the higher end. Alternatively, you could find similar paintings at roadside shops or just outside most of the tourist spots for 10-20 Egyptian pounds. Most of the perfumes that you get to smell in the store are direct extracts from the flowers/fruits. Try the Sandalwood flavour when you go there. Next day, we went on a guided tour of the Hanging Church, Ben Ezra Synagogue, and Khan El-Khalili Bazaar. When you are visiting Hanging Church & Ben Ezra Synagogue, explore the underground passage. It will give you a significant adrenaline rush, especially when you learn that this is where child Jesus lived! 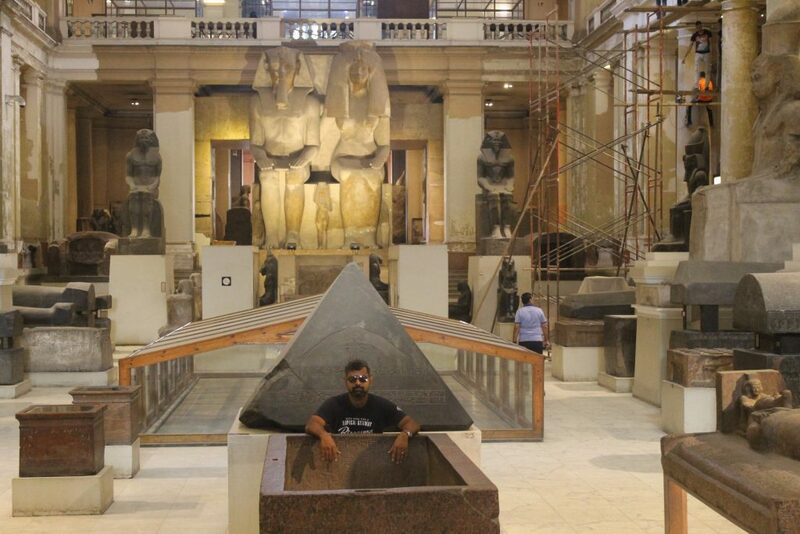 The trip to Cairo is incomplete without paying a visit to the Museum. Get closer to the culture, the ruins, the artefacts, the mummies, the Golden Mask, and everything that makes this place wonderful. Watch out for the huge museum which is under construction right now. Set to be open from early 2019, the new museum will definitely be a tourist magnet. Our last stop was Khan El-Khalili Bazaar, where you can literally find everything. If you want to buy cheap souvenirs or some Egyptian cotton dresses, this is the place to shop. Note: Great Pyramid of Giza is not recommended for individuals with high blood pressure or knee related problems. Cameras are not allowed inside the pyramid. Our next destination was Aswan – the prettiest town in Egypt is just a 1.5-hour flight from Cairo. This is where you can find Aswan High Dam and the origins of one of the largest manmade lakes, Lake Nasser. It is 479 Kms long! 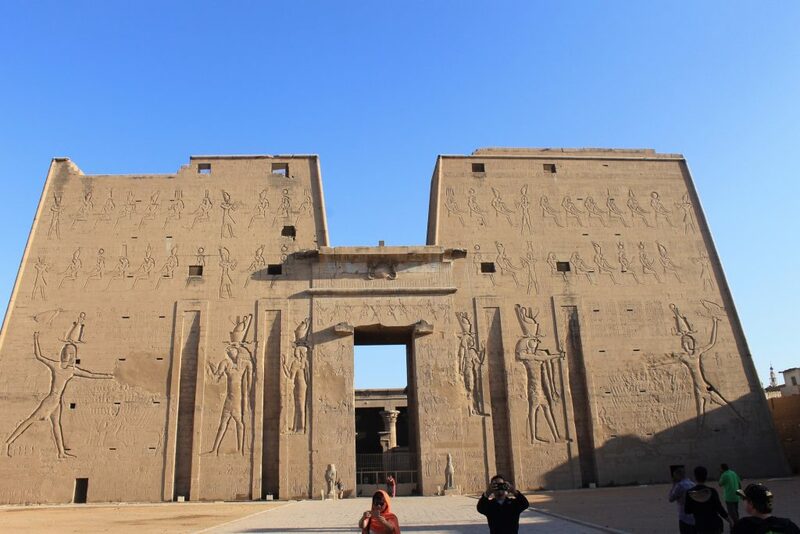 The site is also home to the Temple complex of Philae (The temple of Isis). We also took a tour of the largest ancient obelisk of Unfinished Obelisk, which is one of the major attractions in Egypt. Loads of shopping here too! Take some time off to visit the fantastic Abu Simbel Temple. But you need to start early, say around 5:00 AM (Don’t worry, the hotel will help you with packed breakfast). The drive will take close to 3 hrs from Aswan and the desert road was nothing short of brilliance. The temple is one of the UNESCO world heritage sites and is known for its architecture and carvings. Interesting fact: Twice a year, thousands of people gather at Abu Simbel Temple to sight the ancient temple’s inner chambers as they glow under the sunrays. 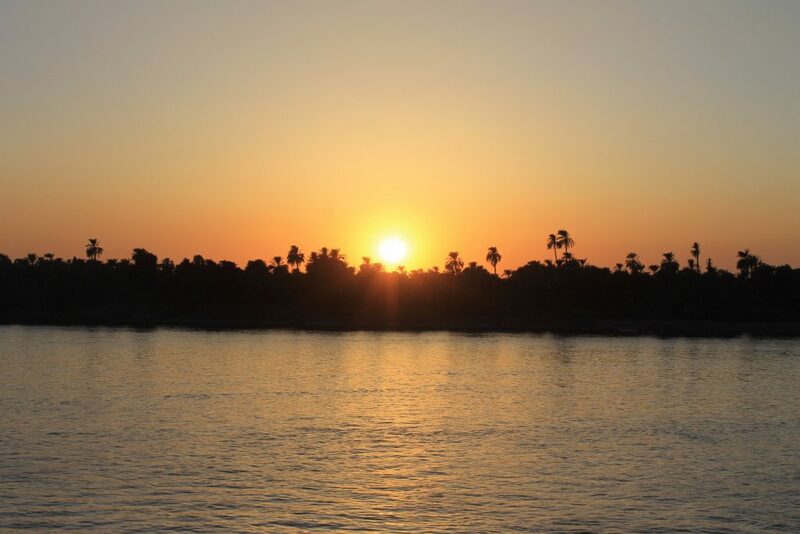 Next was the most expected part of our vacation – the cruise on the beautiful river Nile. It was thoroughly awesome and the most amazing part of the journey was that the chef prepared delicious vegetarian food exclusively for us, every time we walked in. The upper deck is the most beautiful place to be as it had the pool, the bar, coffee shop, and lounge chairs. You could just spend the entire day over there doing nothing. An interesting story: Meet the girl who travels the world in a saree! Our only stop for the evening was the temple of Kom Ombo, a temple dedicated to Crocodile. Trust me, it looks really gorgeous and has two entrances side by side. It has a Nilometer (yes, the river Nile reference! ), which helps in measuring the water clarity & the water level during the time of the flood. The major attraction of the temple is the Crocodile Museum. Over three hundred crocodile mummies found around the vicinity is displayed here. The next day morning we visited Edfu temple. You need to start early (around 6:30 AM) to beat the crowd and the Sun. Edfu temple is one of the largest temples in Egypt. It’s dedicated to the Egyptian God, Horus-Apollo and is known for the carvings on the wall and the Egyptian Architecture. This temple too has a Nilometer and is famous for its grand festivals. 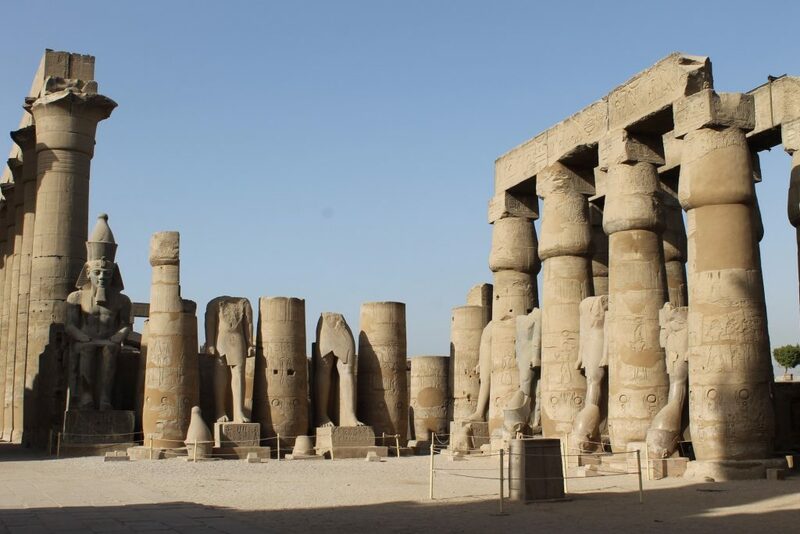 From Edfu, you would reach Luxor overnight and if you are planning to fly on a Hot Air Balloon, get up in the wee hours of the morning, at around 4:15 AM and rush to the base camp. There are 4 takeoffs every day but I would recommend that you go on the first takeoff, around 5:30 AM. This way you will be able to enjoy the sunrise from 2000 ft. It’s one of the best experiences I have had in my life and would definitely recommend. 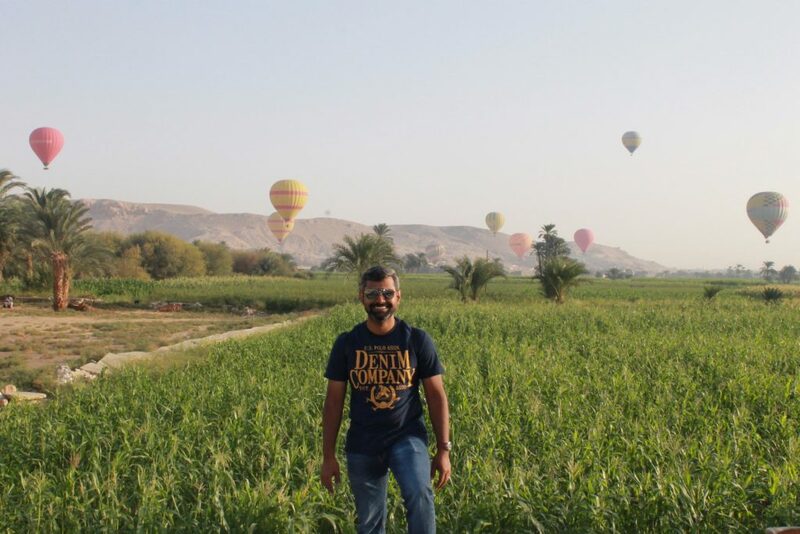 The hot air balloon soared over a dozen of Egypt’s most famed attractions which we explored next. Fly time varies from 45 mins to an hour. 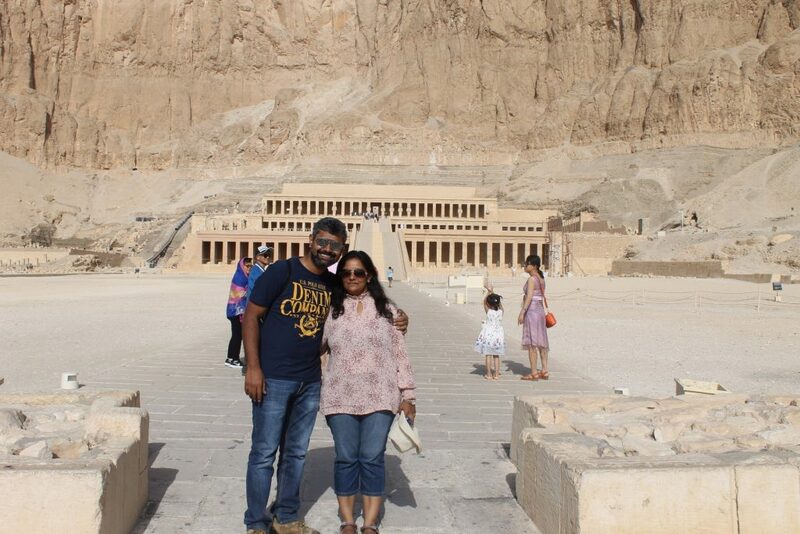 From there, our day was spent on visiting the Valley of Kings, Mortuary Temple of Hatshepsut, and Colossi of Memnon. Caution cameras are not allowed inside the Valley of Kings. As of now, 66 tombs have been discovered and only 7 or 8 are open to the general public. Except for one, rest of these tombs are easily accessible. If you want to buy real handmade artefacts, there is a place close by the Valley of Kings. Hone your bargaining skills and come back with bags full (cards accepted). Mortuary Temple of Hatshepsut was architecturally ethereal and the hieroglyphics behind the column are a delight to see. We saved the best for the last. 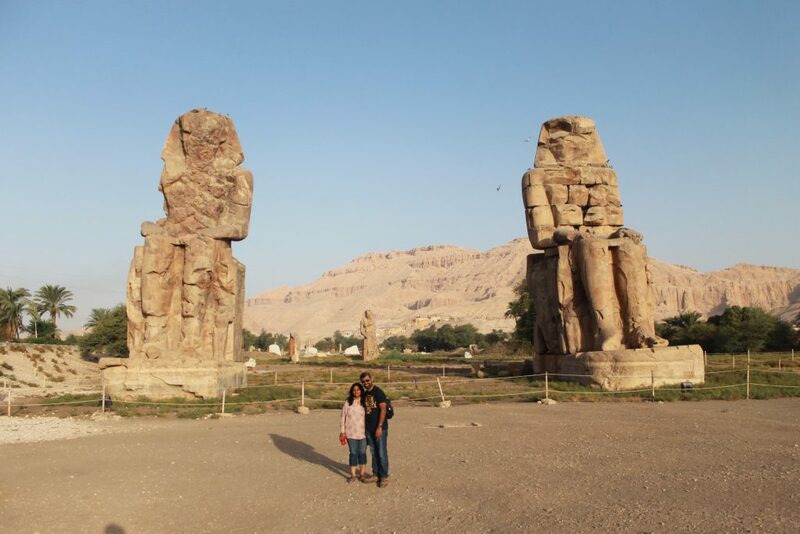 On our final leg in Luxor, we visited the Karnak Temple and the Luxor Temple. 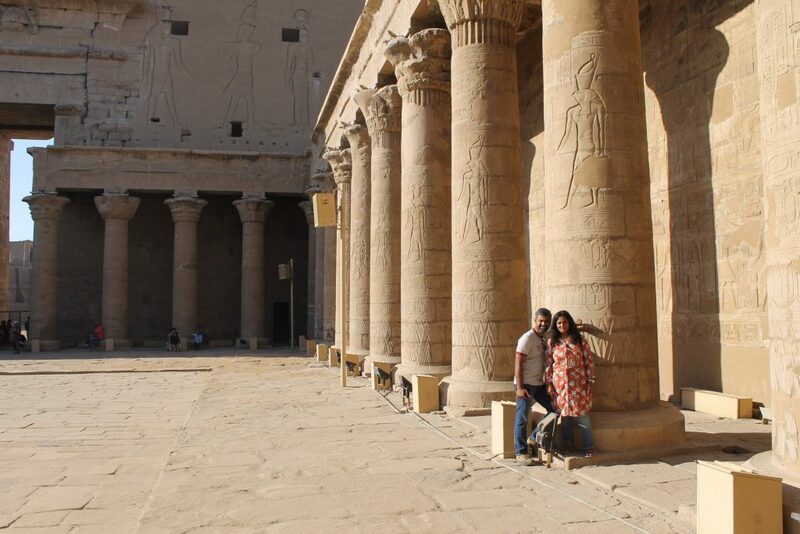 The sheer size of the pillars and the architecture of the Karnak will make you go awe. The open court of the temple is so big that will make you feel that you are in a totally different world altogether. It’s so stunning and is really heartening to hear that several countries have invested in the restoration of Karnak and Luxor temple. The amount of history in these places is so much and the right thing to do is to just live the moment! After spending 4 days in Cruise, we were back to Cairo for one last time. Our next agenda – Alexandria. Moving from the Pharaohs, we had to look into the Greek and Roman culture. 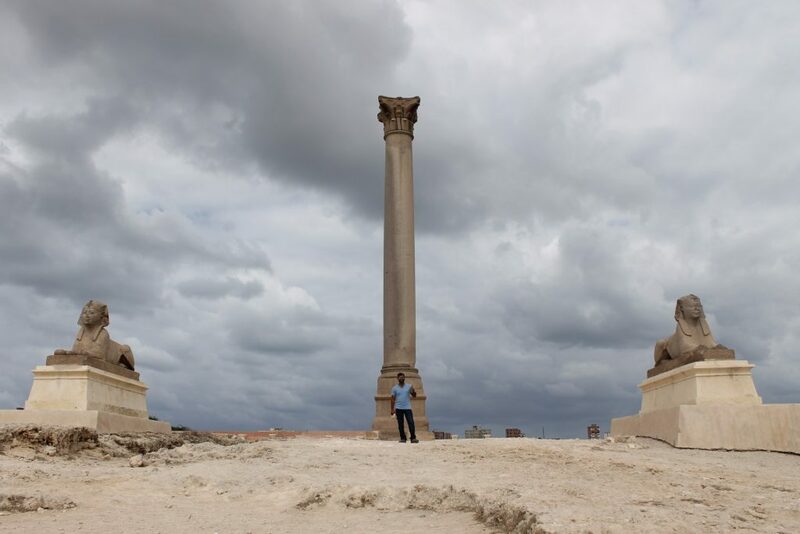 The Pompey’s pillar is a significant monument in Alexandria and the other major attraction is the Roman Amphitheatre in the middle of the town. The place is so immersive that you will stay there forever! While you are there, don’t miss the walk to Corniche. It’s so similar to Marine Drive, Mumbai. Looking for some mouth-watering food to satiate your taste buds? Head to the downtown in Alexandria. There’s a wide range of restaurants to choose from. Egypt requires a lot of travel. Everything is not going to be at arm’s length. You need to walk and better be prepared! 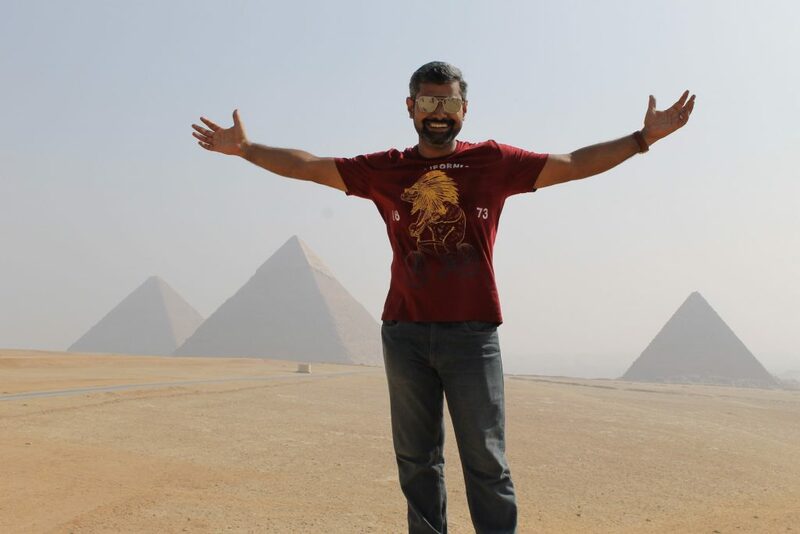 My most awesome experience was visiting the Great Pyramid of Giza. The fact that it’s built using granites and you get those only in Aswan is simply astonishing. I would also wish to add Nile Cruise to the list of best experiences I have had in Egypt. Prior to Nile Cruise, I had never been on a cruise and I enjoyed every moment of the journey. Finally, comes the surprise package – Hot Air Balloons in Luxor. 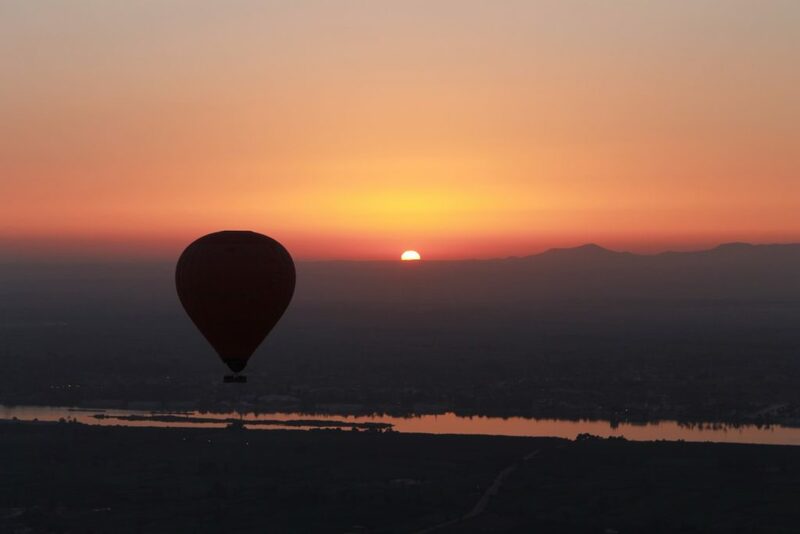 Looking at the sunrise from 2000 feet over the Nile is a lifetime memory. Trust me, it will never fade off. Anyone travelling from India could easily relate to Egypt. Roads within the city are not that great, there will be traffic, and people will jump signals. It’s like, been there and done that. On the flip side, the intercity roads like the one that connects Cairo and Alexandria or the one that goes from Aswan to Abu Simbel are too good. You could practically stop anywhere in the middle of these long stretch of desert highways and really wonder, is this “what we call the middle of nowhere”. On these roads, you can easily cover 300 KMs in 2.5 hrs. It’s that good and you will find an array of roadside shacks along the way. Do not miss out on the Turkish Coffee served in the roadside shacks. Food options are very limited for vegetarians. No worries, you will still get cheese pizzas and pasta. If you are vegetarian, look for the term ‘Koshari’; it’s a local vegetarian cuisine (rice based) and is very good. Fruits in Egypt are really cheap and tasty. Some places also serve Lebanese Wine, which is very good. The country is rich in culture and tradition. You should visit Nubian villages near Aswan to know more. We have close to 400 thousand people speaking the Nubian language and guess what’s the pet they grow in their houses – Crocodiles. You can see little children roaming around the neighbourhood with baby crocodiles on their shoulders. Though the current generation is a part of a different culture altogether, they are working hard to protect the rich Egyptian culture and they take pride in saying, what you see here can never be seen anywhere! Get a local sim card. There are various service providers who offer different data packs. Choose a package as per your requirements. It’s instant activation. Store the contact details of the Embassy in case of emergency. Always carry basic medicine/first aid kit. No harm in being prepared. If you are planning to go explore the pyramids or the tombs, keep a pain relief spray in handy. Carry US dollars if you are not able to exchange Egyptian Pounds. The Banks in Egypt offer a good exchange rate; most of the hotels have an in-house bank counter. Refrain from carrying huge chunks of cash when you’re going out. Most of the places accept cards (debit/credit). Travel light, there is no need for you to stuff many things. Your shopping list should essentially contain papyrus paintings, perfumes, souvenirs like pyramids & sphinx and date fruit. Tipping is very important in Egypt. Egyptian term for ‘tip’ is ‘baksheesh’. You will need to tip the driver if you are taking a cab to any tourist destination, your local guide, room service, almost everyone on a daily basis. However, during the Nile Cruise, you can tip while you check out. You will find a plain white cover and a ‘Thank you’ box placed in the reception. Pick a cover, drop in your cash, seal it, and drop it in the box. At all other places, tip on a daily basis. This gets me going. It could be anywhere. Just travel. Explore the places around you, you never know whom you are gonna connect with. When you travel you discover that everyone is wrong about other countries. The destination doesn’t matter, it’s the journey that counts. 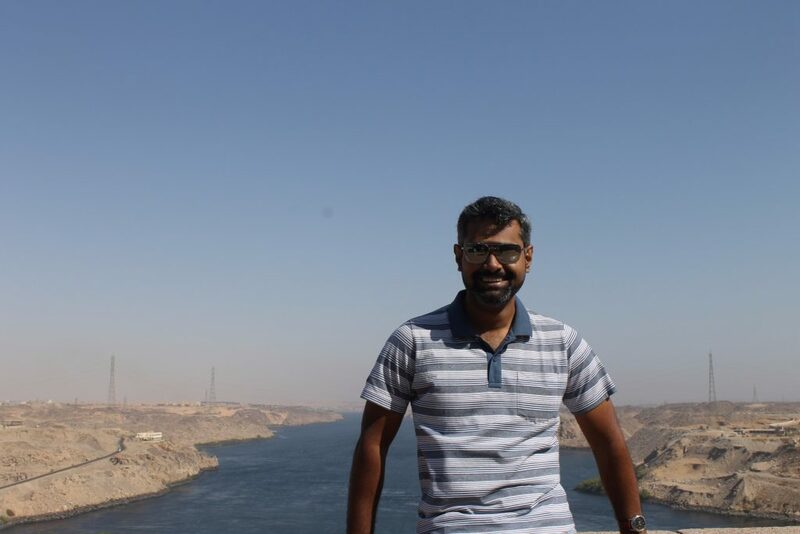 Two things that define Prasanna – travel & food. Travel for him means getting to know himself better. The more he travels, the more he gets to know about himself. Prasanna loves to explore the local cuisine, wherever he travels. When he is not doing any of these, you could find him either in front of the idiot box, watching movies or sleeping away to glory. Ready to go on a date with the mummies? Plan it here. It won’t take you more than 3 minutes! 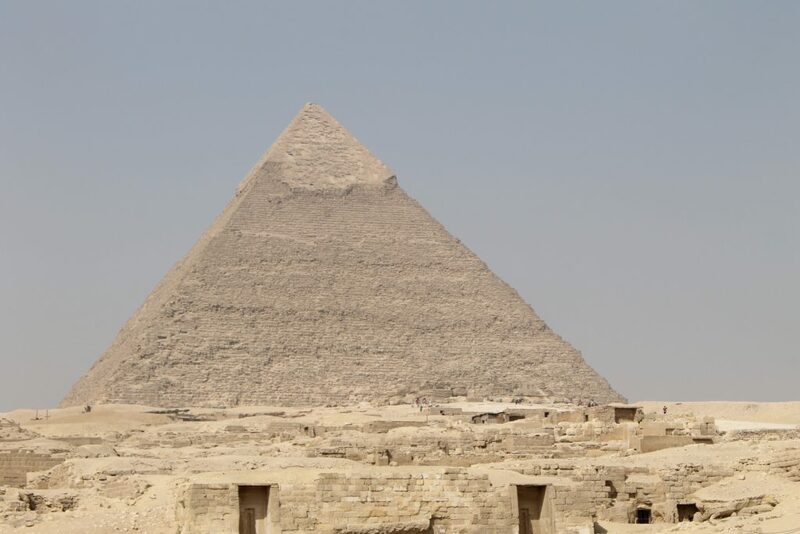 Now explore parts of Giza Pyramids no one has even been to! Meet Soumita Roy Choudhury – The first Indian woman to ride to Bhutan on a Vespa! Four inspirational travel stories that will make you tear up!